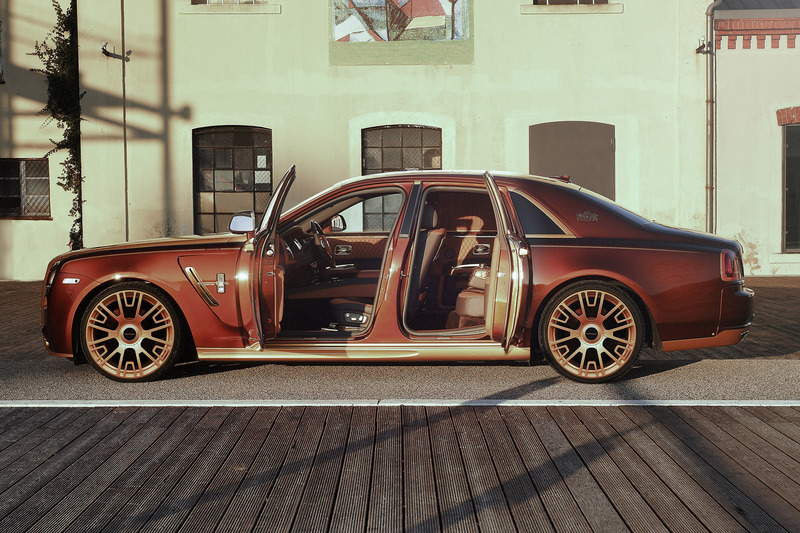 Not long after the presentation of the Rolls-Royce Ghost range, MANSORY launched an extended customisation programme, produced between 2009 and the middle of 2014, and it’s gently modified facelift will be no different. An exclusive bodywork and interior programme was developed, dressing the British luxury saloon up in an even more magnificent way. But we didn’t stop there, additional control units deliver an impressive increase in performance, as well as a sportier chassis set up, which can be adjusted at the touch of a button. With the Rolls-Royce, as with all previous vehicle modifications, MANSORY pays great attention to precisely fitted components while at the same time, creating luxuriously individual designs. The precise detail represents the ideal implementation of the high standards MANSORY set themselves, making the Ghost a real headturner. Even when seen in the rear-view mirror, the Ghost is considerably more striking, due to new front aprons with larger air inlets and optional LED day running lights. This impression is reinforced even more by gently widening carbon wings, which form a single unit with the newly-designed side skirts. An extra light bonnet, made completely from carbon completes the new design of the front. At the back, there is a newly-designed apron, where the integrated diffuser insert leaves space for the stainless steel pipes of the MANSORY sports exhaust unit. 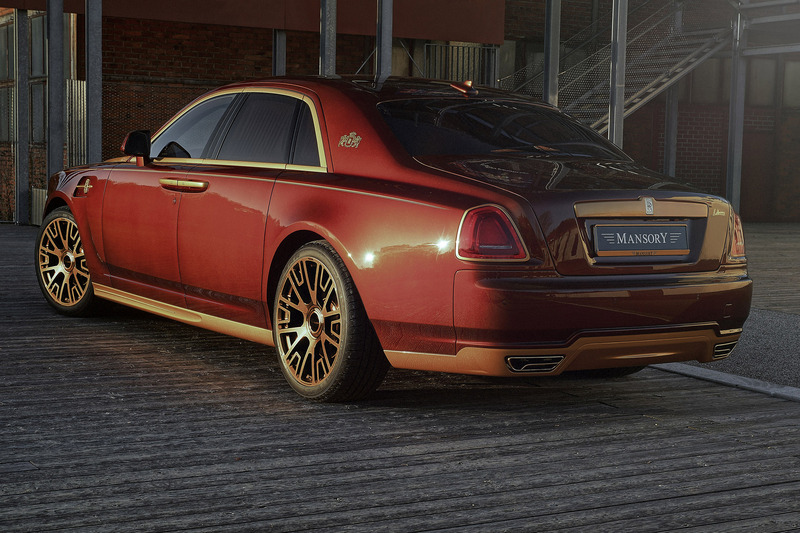 A subtle rear spoiler lip gives the MANSORY Ghost greater stability at high speeds. The engineers have made almost all the aerodynamic components from prepreg autoclave carbon, a characteristic of MANSORY. Here the pre-formed carbon fibre elements are shaped permanently in an autoclave, under the influence of heat in a vacuum, which guarantees a perfect surface at a low weight. In order to lend support to the powerful visual presence, MANSORY have given the Rolls-Royce Ghost production engine a performance boost. With around 652 horsepower/ 479 kW and huge torque of 1050 Nm at 1500 The MANSORY Ghost significantly exceeds the initial RPM figures (Production model: 570 Horse power/ 420 kW and 750 Nm at 1500 RPM). This increase in power is possible due to the use of the new exhaust unit and a performance optimising additional control unit. Driving performance also benefits from these modifications. The MANSORY can sprint from a standing start to 100 km/h in just 4.3 seconds, and hits a top speed of up to 280 km/h thanks to a Vmax delimiter. Striking MANSORY alloy wheels ensure excellent contact with the road. These also improve handling and considerably sharpen the look of the car. The silver monoblock cast wheel with V6 designation comes equipped with Vredestein tyres size 265/35/22 at the front and 295/30/22 at the rear, guaranteeing great grip. With automatic levelling adapted by a control unit and new coupling rods, the vehicle’s centre of gravity has been lowered by around 50 mm, which means the size 22 inch wheels fits properly in the wheel arches. With the newly-designed ergonomic MANSORY sports steering wheel, MANSORY offers the customer a particular highlight in the interior. 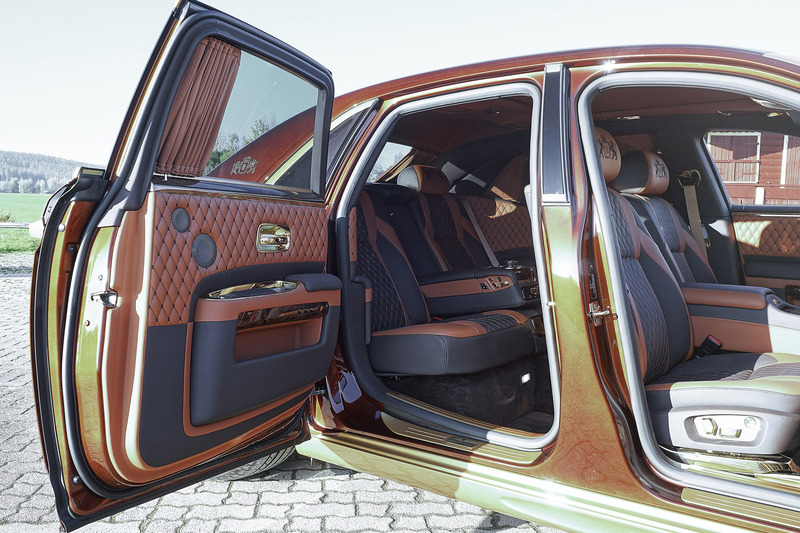 As with all other MANSORY vehicles, with this Rolls-Royce Ghost, the customer can compose their very own personal interior from an almost endless combination of leather, Alcantara, wood, carbon, or aluminium trim elements, and practically any imaginable technical feature. 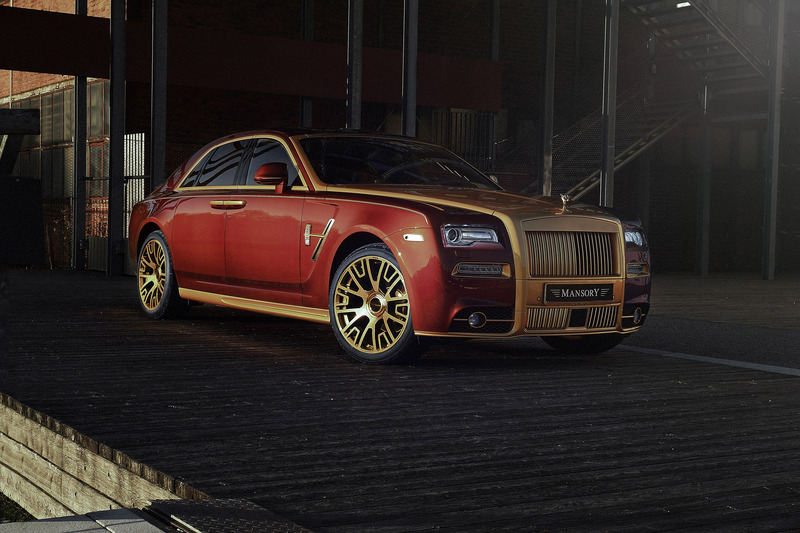 MANSORY’S very own, in-house saddlers will support you every step of the way in making this a reality.